Every time we wash clothes made of plastic tiny micro fibers end up in the water. Estimates vary, but it’s possible that a single load of laundry could release hundreds of thousands of fibers from our clothes into the water supply. Similarly, synthetic fibers come off in the wash — but they’re so small, and there’s no filter inside the machines to catch them. Instead, these tiny plastic fibers pass through to sewage treatment plants, which often don’t have filters fine enough to catch them. (And if they do, the fibers may end up in another sewage byproduct: fertilizer.) Treated wastewater is then often dumped into rivers or the sea, carrying plastic clothing fibers with it. Buy second hand: All garments shed more when they are new. Wear clothes for longer. 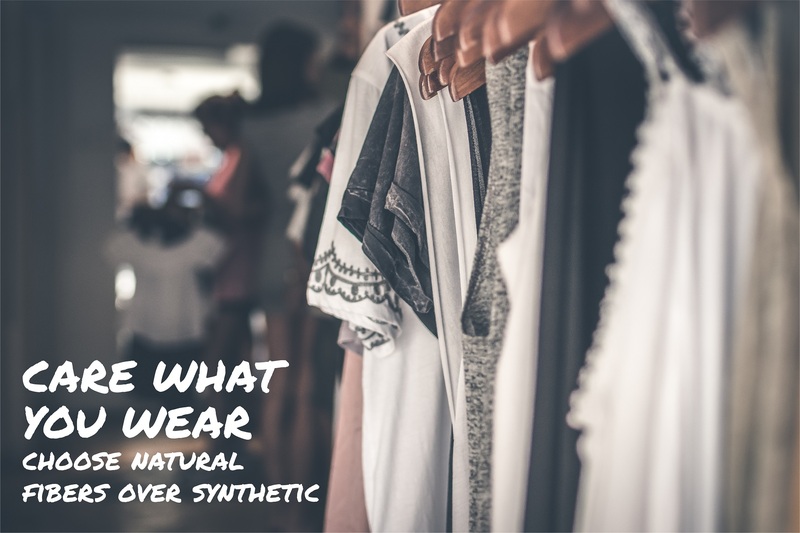 Check the label and avoid synthetic textiles such as polyester, acrylic and nylon. Look for organic cotton products. Wash cooler: you can wash at 30°C/86°F is sufficient. Water in combination with heat weakens the yarn, resulting in much more plastic ending up in our oceans. Wash less frequently. Air your clothes out and wash out stains by hand to avoid unnecessary laundering. Reduce the spin – lots of friction happens during the spin cycle. Skip the spin if you can or reduce the RPM (rotation per minute) - your clothes will also last longer and reduce plastic fibrers coming off. Don’t tumble dry. The heat and the mechanical forces inside a tumble dryer are also a culprit of microplastic pollution. Synthetic clothes dry super fast anyway. Air-dry your clothes. Use the shortest possible wash cycle. microfibre pollution when washed. Look for organic cotton, wool, and other natural fibres. into New. Take clothes to a tailor for alteration if thet dont fit/arent in style rather than throwing them away. clothes. This not only saves you money but ensures that the clothes you purchase have an extra long lease of life. Do a clothes swop. Avoid bargain plastic items. These often break easily, like cheap accessories.